Through her connections to the more liberal Weimar court and Thuringian nobility, as well as liberal urban educators and intellectuals in Dresden, Leipzig, Frankfurt and Berlin, she convinced skeptics and adherents alike that there was worth in his ideas. Her book, Reminiscences of Froebel presented kindergarten to a wider audience. 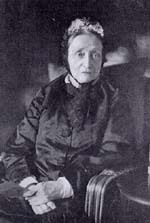 Bertha von Marenholtz Buelow embarked on an ambitious campaign to spread the kindergarten to other European countries. She helped to found kindergartens in England, France, Belgium and Italy before returning to Berlin to set up charity kindergartens and a training school, which was later moved to Dresden.